Hisaou, a lonely businessman from Tokyo. is stuck in a dead-end job and surrounded by a bunch of bad problems. 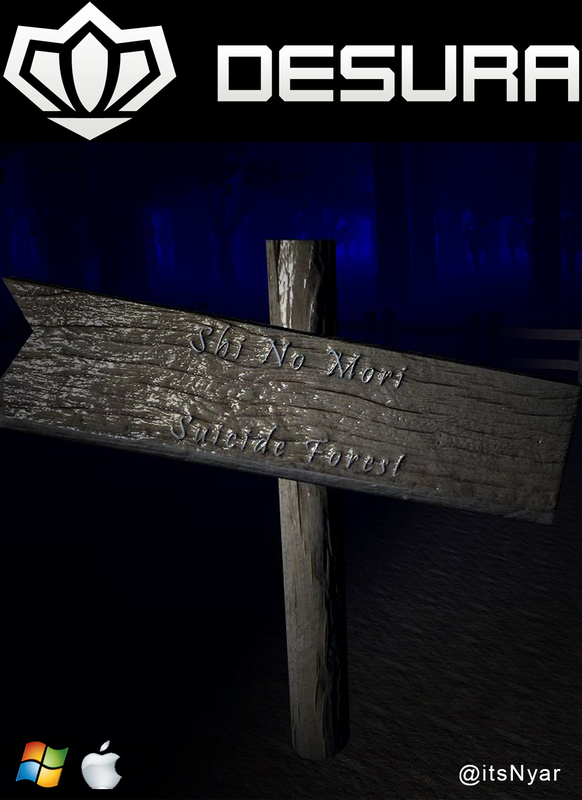 He decides to make a one-way visit to Shi No Mori (the suicide forest) to end it all. However, on arrival he meets Kanade, a female artist who is also in the same situation. Struck by love at first sight they both decide to leave the forest together and make another go at life. However, they soon become the victims of an annual haunting in the forest and must escape the ghosts and demons who haunt the forest and discover it’s secrets. Shi No Mori: Ultimate Edition coming soon with all-new remastered gameplay, updated mechanics and stunning visuals. Plus, get your hands on the official prequel Shi No Mori: Hajimari included in the Ultimate Edition. The bundle also includes a sequel as a short story written by British journalist and author, Charlie Benton. What is included in the Shi No Mori: Ultimate Edition? Shi No Mori Upcoming V2.0 Update - New Characters, Extended Story and MORE! A nice, minimalistic wallpaper to celebrate the pre-release success of Shi No Mori! A pack of 4 high-quality 1080p wallpapers showing off Shi No Mori's environment Happy New Year! Awesome 1920x1080 concept art wallpapers! Day and Night art included! Thank you! It's nearing the end of production so it will be released early summer! Remember, if you want to keep up to date with news and show support for Shi No Mori, follow my Twitter and follow us on Facebook! Also we'd be happy for you to upload footage to your Youtube channel! Looks awesome, will Lets Play it when it's released! We'd love for you to do that! We encourage people to record and upload their footage to the internet! Shi No Mori is aimed for release on June 2014. Unfortunately, due to the short length of the game, it will only come out as a full version. However, soon we will be looking for alpha/beta testers, so look out for that!